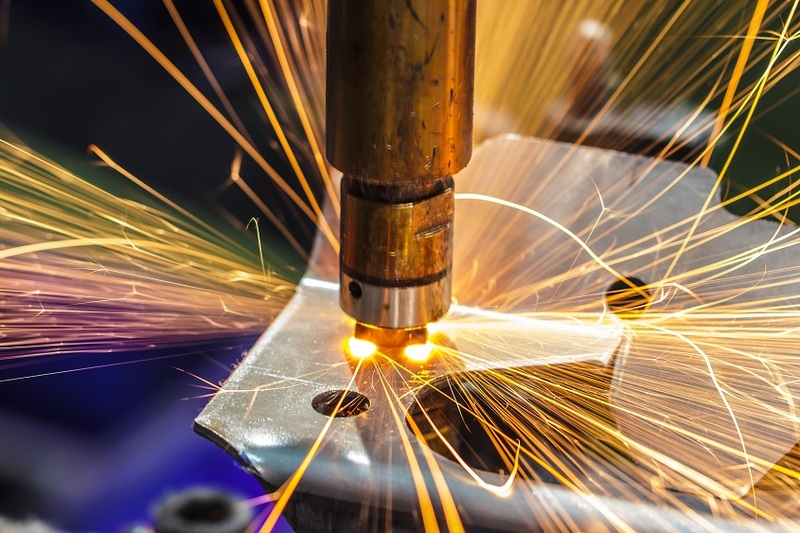 ← What is MIG welding? The old adage “measure twice, cut once” is as important for plasma arc cutting operators as it is for carpenters. The phrase could be reworded to “inspect twice, cut once” for the plasma industry. Careful preparation, setup, and maintenance can alleviate many costly problems which operators encounter. The following is a list of remedies that may help operators avoid some of the most common problems encountered in plasma arc cutting. 1.Replace Consumable Parts Regularly. Think about a car—changing the oil regularly is much less costly than replacing the car’s engine. In the same way, replacing consumables regularly is much more cost-effective than replacing the torch. Using severely worn consumables can lead to uncontrolled arcing in the plasma chamber, which can cause torch failure. What are the signs of spent consumables? Often, deteriorating cut quality is the first sign of worn parts. Visual inspection is important as well. If a nozzle shows signs of oxide residue on the inside, or if signs of gouging exist on the inside or outside of the nozzle, it should be replaced. To tell whether an electrode is spent, check the pitting of the electrode element. Depending on the gas being used, the pitting should not be deeper than 3/32 inch for oxygen or air or 1/8 inch for argon or nitrogen. If the pits are deeper than these guidelines, it is time to change the electrode. Finally, if an examination of the gas swirlers reveals cracks, arc burns, or dirt or grease in the holes, the swirlers should be changed. 2. Properly Assemble the Torch. Torches should last for a long time with correct care. The torch should be assembled so that the parts are in proper alignment and fit together snugly. This ensures good electrical contact and the correct flow of gas and coolant through the torch. In addition, the torch threads should be clean, and seating areas should not have any particulate contamination. When changing parts, consumables should be kept on a clean shop rag to prevent dirt or metal dust from contaminating the torch. 3. Use the Correct Parts for the Job. Consumable selection depends on the cutting amperage and plasma gas used for each job. The operator’s manual defines which consumables are appropriate for various types of cutting. Using incorrect consumables can lead to shortened parts life and reduced cut quality. Furthermore, parts must be run at the correct amperage. The amperage should be set to 95 percent of the nozzle’s rating. If the amperage is too low, it leads to a sloppy cut. Overpowering will drastically reduce the nozzle’s life. 4. Ensure Proper Gas and Coolant Flow. The flow and pressure of gas and coolant should be checked every day. If the flow is insufficient, consumables will not be cooled properly and parts life can be adversely affected. Constant gas pressure is important to maintaining the cutting arc. Excess gas pressure is a common cause of hard starting, a situation in which the torch fails to initiate an arc when all other conditions for normal operation are correct. Likewise, plasma gas must be kept clean and dry. Premature torch failure and short consumable life are two results of contaminated gas. Compressed air systems are especially prone to contamination. Sometimes, it is possible to get too much of a good thing. When applying O-ring lubricant, use just enough to put a shine on the O-ring. Shields must be removed before putting antispatter compounds on them. Too much of either material can contaminate the torch, resulting in premature torch failure. In the same vein, grease or other lubricants should not be applied to torches; torches do not need lubrication. Furthermore, lubricants may conduct electricity, which can ruin the torch. Any excess compounds can clog swirl rings and attract metal dust, which can cause arcing problems. 6. Avoid Using the Torch as a Hammer. Would you pay hundreds of dollars for a hammer? Of course not. Torches were not designed as hammers and should not be used as such. Banging the torch on the workpiece to remove slag or cut pieces can damage the torch. 7. Avoid Torch Collisions. Tip-ups and crashes can irreparably damage a torch. Torch collisions with the workpiece can be prevented by programming the shape cutting system to travel around (rather than over) cut parts. Torch height sensors also offer protection from workpiece crashes by correcting for variations in workpiece height. Finally, breakaway torch mounting devices can help prevent damage to the torch if a collision does occur. 8. Avoid Arc Stretching. If the arc must stretch to reach the metal, consumable parts will prematurely fail. Whenever possible, edge starts should be used rather than pierce starts. When doing an edge start, the plasma arc should be started with the nozzle orifice directly centered over the edge of the workpiece. When piercing, set the standoff to twice the height used for cutting, or the maximum height that will allow arc transfer. Appropriate timing of the arc-off signal will eliminate arc stretching at the end of the cut. 9. Maintain Correct Standoff. Standoff is determined by the thickness of the material being cut. By maintaining the correct standoff, the arc is able to flow correctly; too high or too low a standoff can damage the torch or the workpiece. For hand-held cutters, standoff devices can assist operators. Mechanized systems can be manually set or maintained by automatic height control. 10. Clean the Torch Routinely. It is important that operators watch the torch for signs of contamination. The internal and external torch threads should be kept clean and in good condition. If necessary, they should be retapped. The nozzle and electrode seating areas should be cleaned if they become dirty or pitted. To clean the torch, use a cotton swab and electrical contact cleaner or hydrogen peroxide. 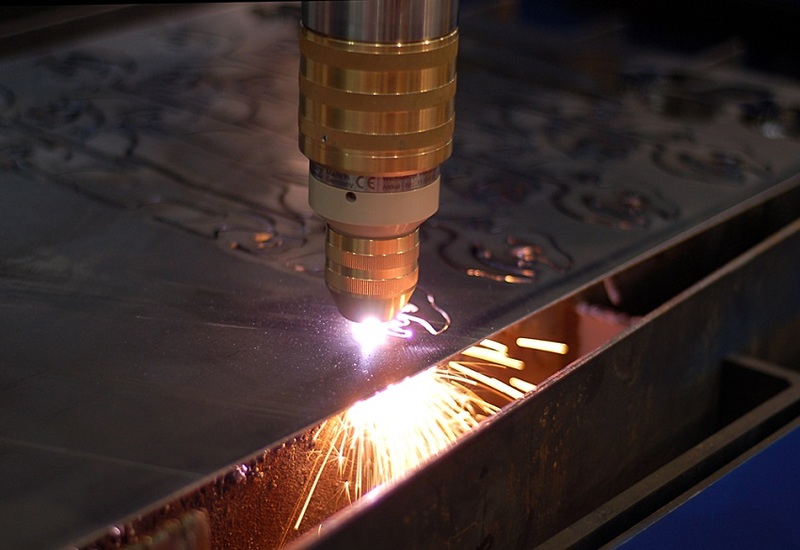 Proper operation of plasma arc cutting equipment can save countless hours and reduce expenses. Proper operation can also result in good cut quality and longer parts life. In addition, less time and effort may be spent cleaning the metal before it goes on to the next step in the manufacturing process. For example, if the cut piece is to be welded, a clean, high-quality cut is important to the integrity of the weld. 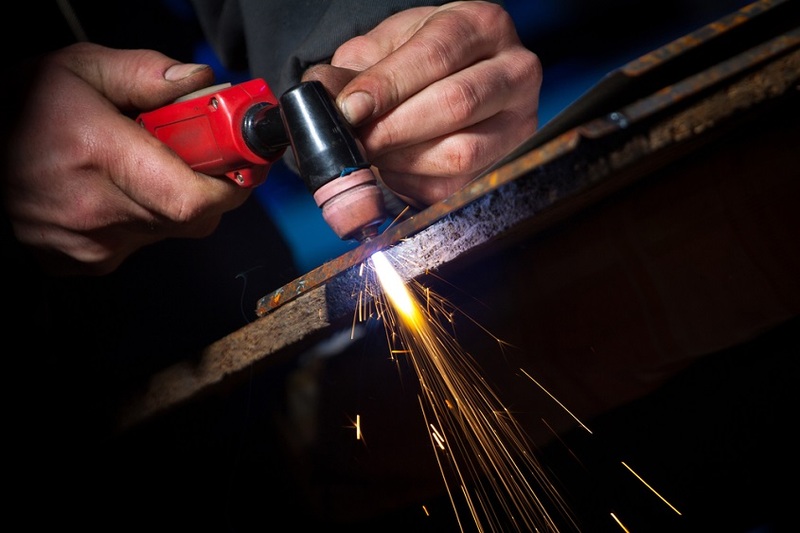 Choosing a manufacturer that specialises in plasma cutting and using genuine consumables will ensure that your projects are of the very best standard. Hypertherm tick all these boxes and offer a huge amount of resources, tips and tricks to get the best out of your plasma cutter. This entry was posted in Customer Resources, How To... and tagged hypertherm, plasma, plasma cutting. Bookmark the permalink.